The Nokia 9 PureView is expected to be quite the camera-centric smartphone, with a five-camera setup seeming almost overkill at the moment. The latest report, pertaining to its imaging prowess, further touts yet another overkill feature that is purported to be included in it — 64MP photograph modes. It might not eventually be realised, but a report by Nokia Power User states that the 64MP photography mode will be enabled by combining data from all the five sensors to create a super-resolution still mode, of sorts. 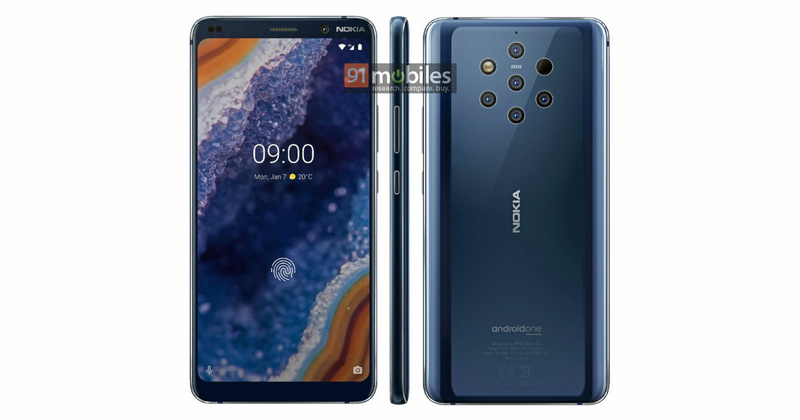 According to the report, the sensors to be equipped in the Nokia 9 PureView include two 12MP cameras, two 16MP cameras and one 8MP camera, along with a 3D time of flight (ToF) sensor to gauge depths and enable a host of other functions. The sensors will be able to shoot individually and in tandem, to produce combined resolution photographs, telephoto shots, depth-gauged focus and wide angle shots. Furthermore, shooting in tandem will reportedly combine data from all the sensors to produce a 64MP photograph. The report also states that Nokia will equip its upcoming flagship smartphone with Light’s proprietary firmware. Light, a specialist in multi-camera imaging firmware, will enable computational photography to produce high dynamic range photography, lossless crop zooming and superior incident light in photographs. While this would make for a very possible high resolution imaging mode, it remains to be seen how much of a 64MP photograph remains usable. For one, creating such high resolution photographs by combining information from multiple sensors would create very high file sizes, which would be pretty much impractical for sharing anywhere. It would also create heavy strain on processing resources, even with dedicated ISPs of the latest flagship mobile processors. That said, it will be exciting to see exactly how well the Nokia 9 PureView’s camera performs. Nokia’s first tryst with a high resolution sensor under the PureView brand came a bit ahead of its time and in the wrong hardware setup, and HMD Global will be keen on correcting the wrongs with the new flagship.